In this post, I’ll explain the differences in the Facebook Like Button and the Facebook Like Box. I will also explain the step-by-step process of adding this functionality to your website using WordPress as an example. The Facebook Like Button is used for visitors of your website to ‘like’ a particular post, page, site or any other criteria a website has to offer. This is done by assigning a URL to ‘like’. Do not confuse this with a ‘Share’ button which allows Facebook users to share a post, video etc. with their Facebook friends. I am currently using the Socialize plugin on the Ask Adam League that is running on WordPress. The Facebook Like Button has some great advantages. It allows users of the Facebook community to ‘like’ something which in turn shares that something and broadcasts it out to all of their Facebook friends via their News Feed. Also, this something that they like will remain on their profile for other people to see and visit. The Facebook Like Box on the other hand allows visitors to ‘Like’ a Facebook Fan Page. It also has other functions such as showing the faces of people on Facebook who like the Fan Page and it can also display the latest post on the Fan Page. An interesting note here is that you can use the Facebook Like Button as a Facebook Like Box but only a Facebook Like Box can be used as a Facebook Like Box. This is how it works. In the Facebook Like Box Generator you are prompted to add a Facebook Page URL in the respective field pigeonholing the developer into using the Facebook API strictly for users to ‘like’ a Facebook Page. However, in the Facebook Like Button Generator the user is allowed to add any URL they want. This makes it possible for users to ‘like’ the corresponding page that the developer is suggesting. How a Facebook Like Button can be used as a Facebook Like Box is simple; add a Facebook URL to the URL field and how you are on your way to making a Facebook Like Button that when clicked will allow a Facebook user to ‘like’ your Facebook page. 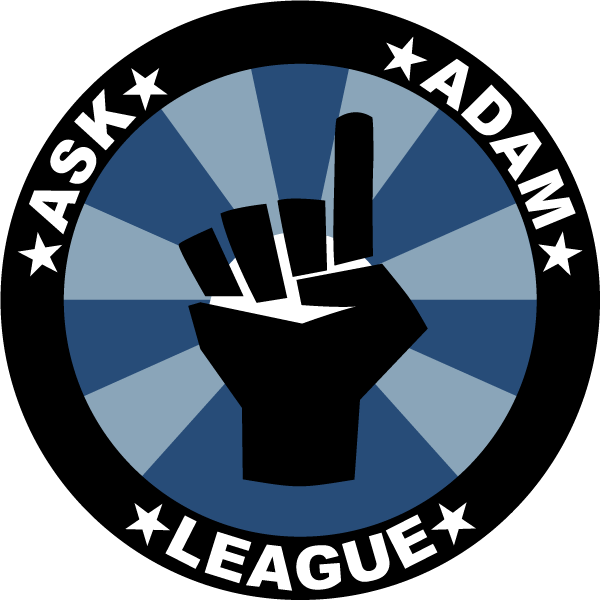 For example, the Ask Adam League currently has a Facebook Like Button on the site. When clicking on this Like Button, the visitor will be Liking the Facebook Fan page for the Ask Adam League. They will also be able to see other friends of theirs that like the Ask Adam League Facebook Fan Page. Adding either the Facebook Like Box or Button is very similar so instead of writing War and Peace here I’ll show you the steps for the Like Button. Notes: These steps include using the code from the Facebook Developers website and not a WordPress plugin as I’ve found many of the plugins to be confusing or very spotty with their functions. These steps will show you how to add a Facebook Like Box to your WordPress sidebar using a text widget; the simplest way I have found to add the Like Button. Go to the Facebook Like Button generator. This is where you will set the parameters for your Facebook Like Button and generate the code for your WordPress widget. The first step for generating the code is to get the URL for your page. I will choose to use the Ask Adam League Facebook page in this example since I want my site visitors to ‘like’ my Facebook page. Just visit the page and grab the full URL there and paste it into the ‘URL to Like’ field. (I’ve noticed that Firefox 3 on my Mac did not generate the Like Button example. It wasn’t until I updated to Firefox 4 that this happened). Select the different parameters for your Like Button such as pixel width and color scheme. You can also toggle on or off Faces which just displays the faces of the users who like your page.Click ‘Get Code’ and you’ll be presented with two different types of code; iFrame and XFBML. XFBML works for me (I’ll let the coder community explain the differences). Login to your WordPress CMS and go to ‘Widgets’ under the ‘Appearance’ pulldown on the right. Here you’ll have all of your widgets available that can be installed in your sidebar. If you don’t know what these do just think of them as little applications that do things on your sidebar. Grab the ‘Text’ widget and drag-and-drop it to anywhere you want the Facebook Like Button to be with all of your other widgets on the sidebar respectively. (if there is currently a text widget on your sidebar that you would like to install the Facebook Like Box code to with some other code there will be no problem at all). Crack open the Text widget by clicking on the pulldown. Your text widget will open up exposing the field where you will enter the code. Paste the code that you copied from the code generator. Bring up the page(s) that has your new Facebook Like Button to check it out. Yeah yeah. I know we only have 12 people who like us on Facebook. Give us a sec. Now anyone that visits your site will be able to like your Facebook Fan page. You can follow these same steps with the Facebook Like Box generator to make a Like Box if you wish. Send me a comment if you guys have any questions. Good luck! Note: My first time adding the Like Button it took almost 2 hours for it to show up on my page. Whether it took the Facebook API a million years to work or whatever else was going on I do not know. The plot unfolds as the two attempt to communicate with one another, although they speak different languages. significant infos. I’d like to peer more posts like this. The web site style is great, the articles is really greaqt : D.
hey there and thank you for your information ? I have certainly picked up something new from right here. too reload the web ste a lot of times previous to I could get it to looad properly. Make sure yoou update this again soon. Most importantly, you need to use music that is not licensed under a No Derivative Works license. good review is a crucial case, as well as ones which may have badly damaged my entire career if I hadn’t discovered your web page. Your understanding and kindness in handling all the things was helpful. future. Thank you so much for this skilled and results-oriented guide. need recommendations on this situation. But the actual issue is that YouTube is trying to take manage of something that has traditionally been user-generated. you will have to pay for all expenses relating to shared spaces. You can use positive background music straight from your own music library (songs you purchased on iTunes or ripped from your own CDs).
) I take care of such info much. I was looking for this certain information for a very lengthy time. tela, que para pequeno número de é muito bom pelo pavor da câmera.